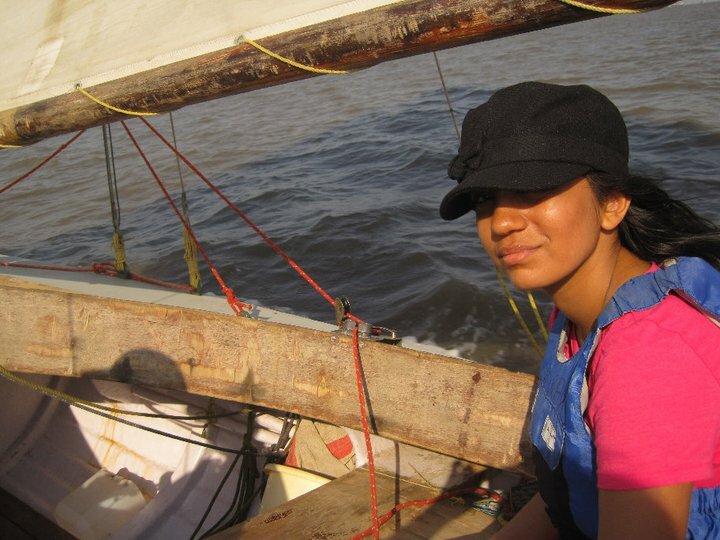 My first experience in a Sailboat in Mumbai..
With a brilliant coastline that Mumbai has, unfortunately, we still do not have a serious culture of water sports. So even though I have been born and brought up here, I have not had much of a “sea life”. 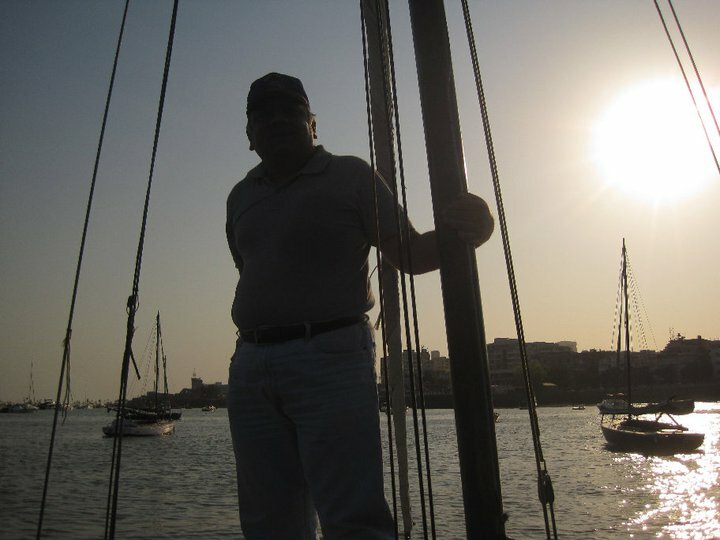 The best was to go to Shivaji Park or Juhu beaches, as a kid, and build sand castles! Off late, perhaps with recent upsurge in standard of living and wealth that has been created, we do see the emergence of a certain sea-sports and boating culture. 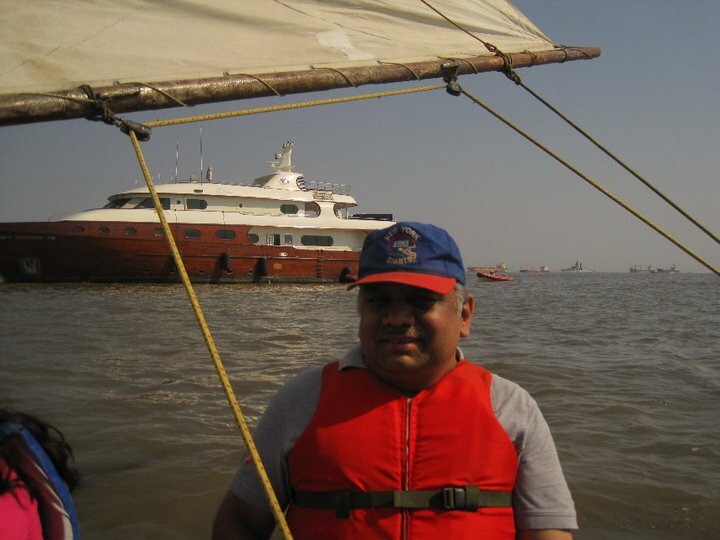 In fact, there is a sudden jump in private boats, and we have the annual boat show as well, in Mumbai. 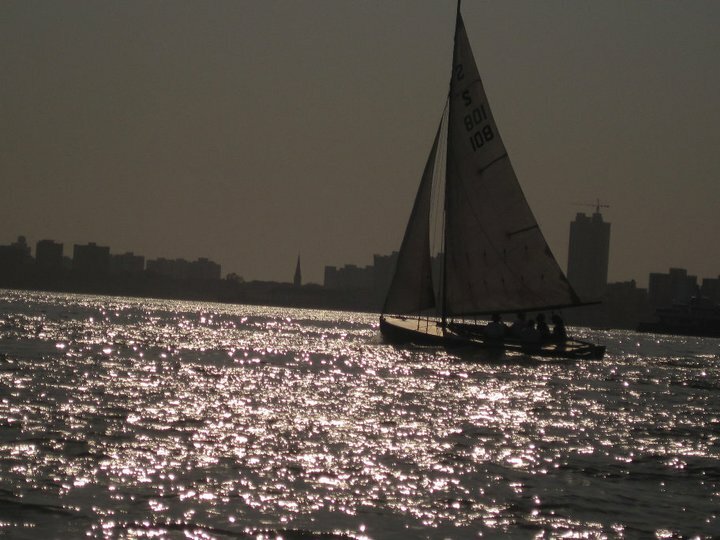 Two of my cousin sisters have enjoyed sailing and used to do it regularly in Mumbai, and that had created a sort of inspiration for a while. But still being far away in Chembur (from South Mumbai, I mean), and the opportunity, if at all, only being on Sundays, the inspiration had not converted to an actual experience so far. So when a dear friend proposed the idea of trying out sailing, and said that he could set it up for us, I did not think much before doing my proverbial “chance pe dance”. For those who don’t get the phrase, it means that one grabs the opportunity to do something new and fun, when the said opportunity comes up. Without thinking too much! And which is exactly what I did. And so the Sunday was decided. The wife and the elder daughter also agreed to come (I am sure, inspired by my two cousin sisters’ experiences, that we had heard much about in the past). The younger daughter unfortunately, was bang in the middle of her final exams, and could not join. 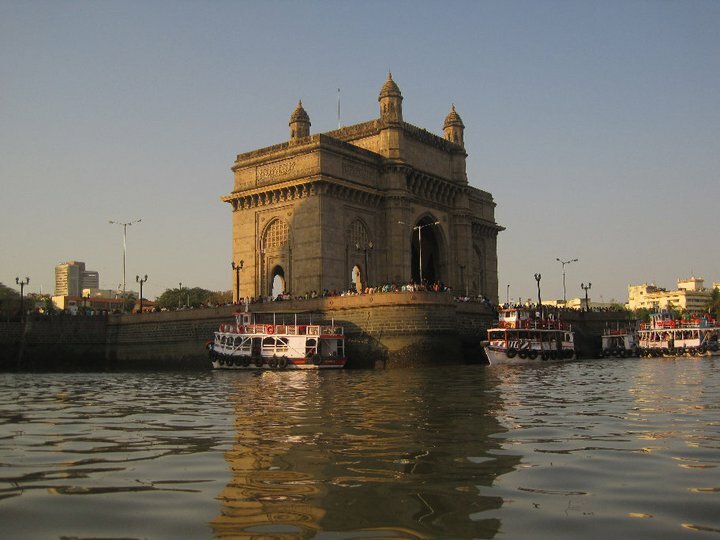 So the three of us, and my friend, and few other friends, made our way to the Gateway of India, from where we were to do our sailing trip. There were a set of instructions that our friend had given, for this outing. Wear comfortable, waterproof footwear. If you wear a cap, make sure there is a string that can fasten the cap (as otherwise, it could fly off). Get a plastic bag to hold the valuables. Get sun lotion..
We had done all of that. Part of my preparation was to use a pair of old rubber sandals that I had not worn in ages, but which fitted the requirement. Except what I did not know about these sandals was that the old rubber straps were so worn out that as soon as we reached Gateway of India, and started walking out of the car, when one sandal, and then the next one, broke off! And I was without footwear. On a sunny Sunday afternoon, with the hot tar roads below. 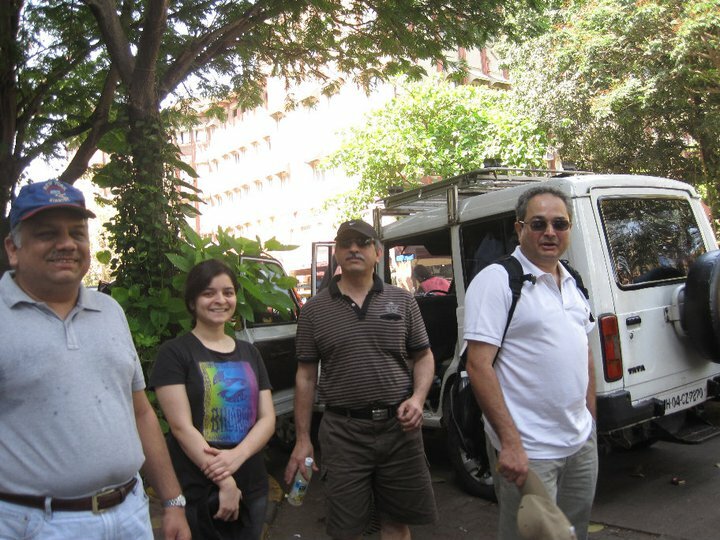 We needed to rush to find a Colaba footwear store and buy new footwear for me! 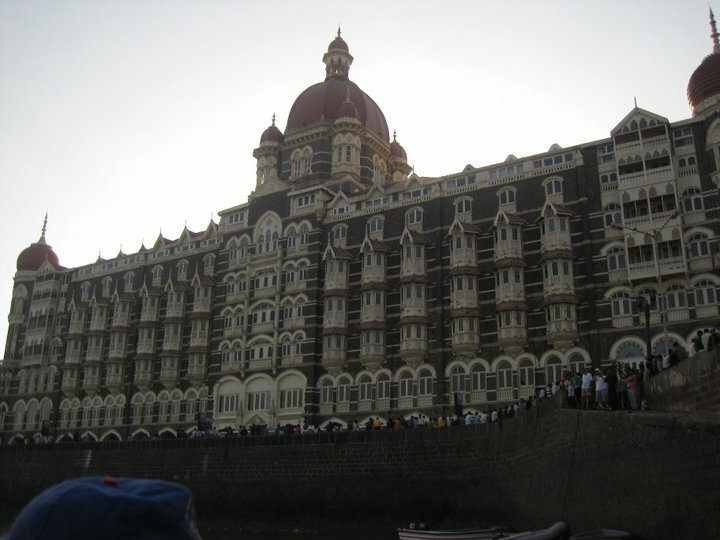 After all that, we reached the boarding point, which was right across of the Taj Mahal Hotel. In a few minutes, the actual host and hostess (a Doctor couple, who were members of the Royal Bombay Yacht Club) came by and got things moving, for us. We were a party of 8, and we needed to split into two groups of 4, to take the row boats first. The row boats came all the way in, and we’d take these a bit into the water, and then in the middle of the waters, move over to the actual sailing boats. 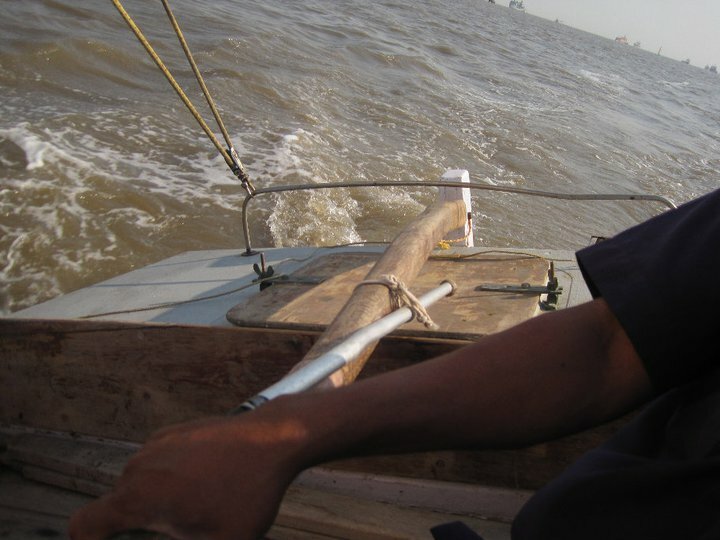 There was a careful switch in the middle of quite deep waters, from row boat to sail boat. 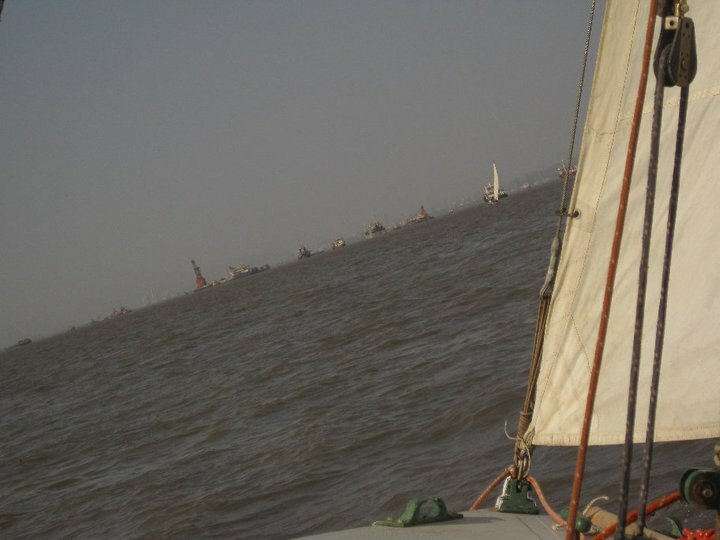 The only challenge was to ensure that we do not imbalance either of the boats, while we shifted. 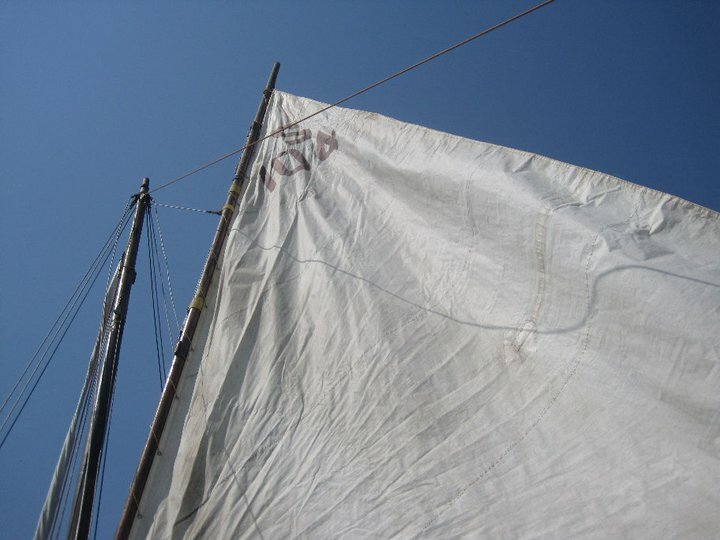 Once into the sail boat, the Tindel (the helper who accompanies and actually maneuvers the sail boat – they are called Tindels; the name of our Tindel was Krishna) went about opening the two sails, as we watched in fascination. And in a matter of minutes, we saw this boat with few bamboos jutting up convert itself, into something that will sail on its own, with the wind supporting the motion. The Tindel was pulling a few of the strings that held the sails, so the sails would change directions and the boat would change directions. It was deft handling by someone who does this all the time, and it was extremely impressive. The boat made its way gradually, farther from the shores, and into the deeper seas. The wind was decent and it took the boat ahead. The Tindel informed us that in case the winds came down, then we’d not move! And we would have to cast anchor and wait for the wind to pick up again! Thankfully the wind stayed with us all day, and we did not need to drop anchor and wait in the middle of the sea! 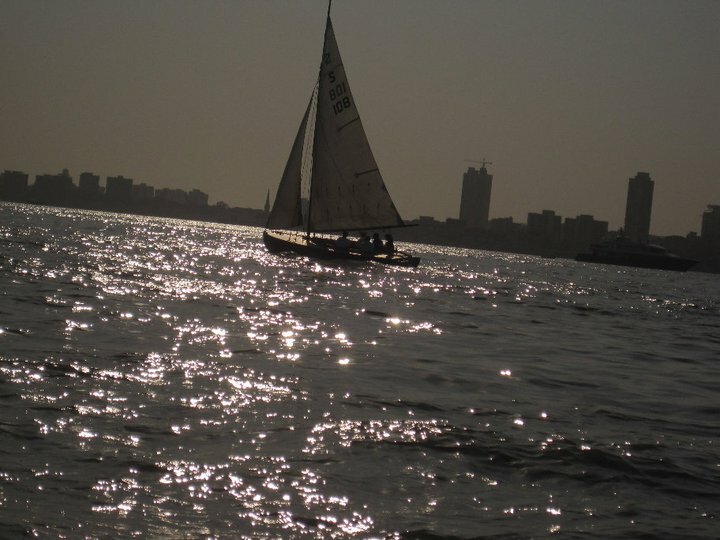 There were two of our groups, so we had two sailing boats to us, and we did not really move together. The second one moved ahead and went faster! A little deeper into the sea, and we were able to see some really fancy boats out there. 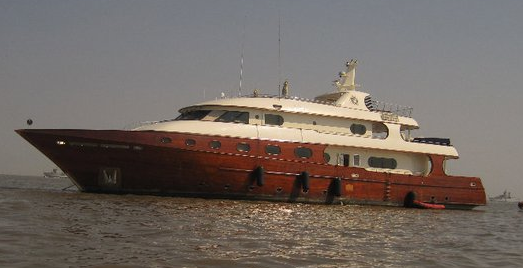 The Tindel was happy to introduce those boats to us, as these were owned by celebrity owners! 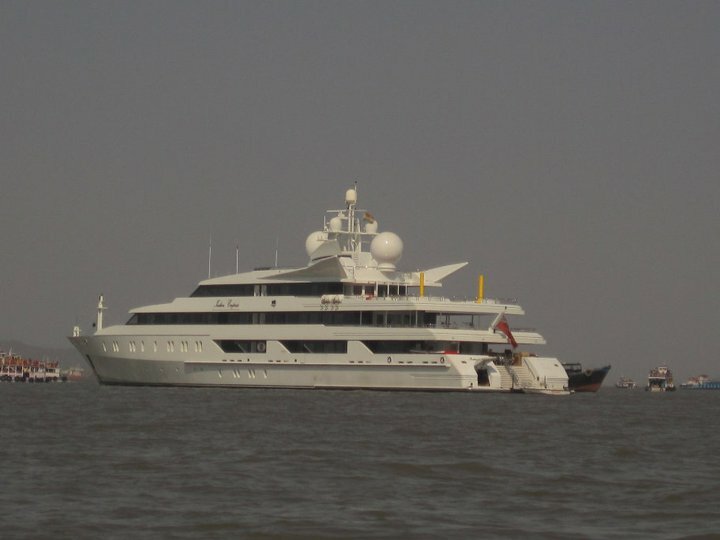 The next best thing to celebrity-spotting is celebrity-boat-spotting! 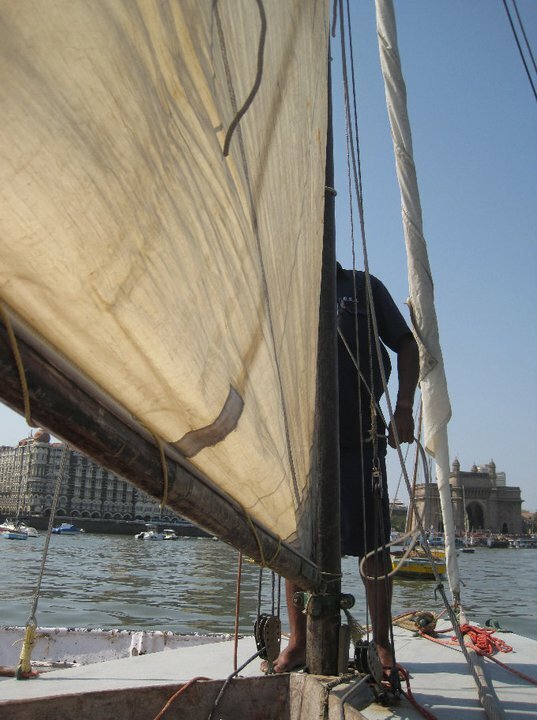 It was a relatively leisurely motion of the boat, even as we were watching all these scenes, and on our first such sailing trip, we were just getting a feeling that this was so easy and so much fun. Just around this time though, the wind became a lot stronger. And the boat kind of flew a lot faster. Obviously it was not even close to alarming, but for us first timers, it suddenly got very exciting. 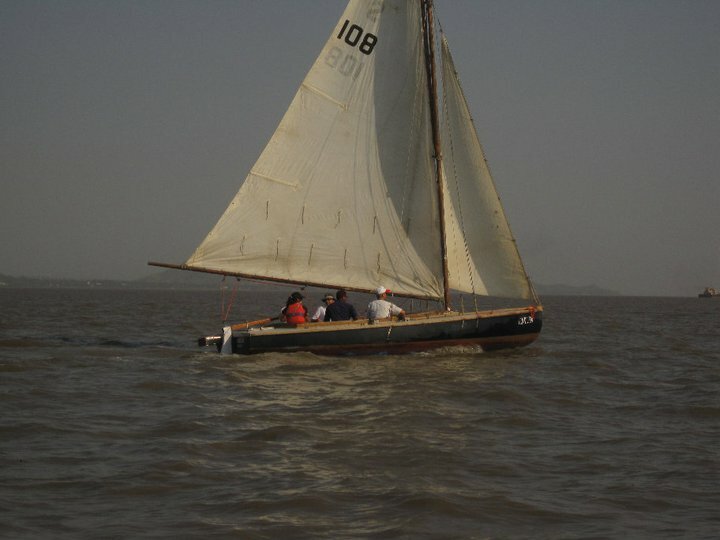 The Tindel got a lot more busy, as he worked on keeping the boat under control and steering it well. But meanwhile, the boat bent across to one side, a lot. I was sitting on the side which was bending down and got very close to the water. Thinking I could make my humble contribution to the stability, considering my weight could make a difference (lol), I inched up a little on my side, so as to bring the weight inside, and not towards the side where the boat was leaning! So that was the 10-15 min of excitement on our trip, after which time, the wind force came down, and the boat was stead and properly vertical once again. And then we made our way back towards the shore. The timing was perfect. The sun was going down, and it made for some wonderful scenes. Most of the pictures in this blog post, have been taken by my wife. 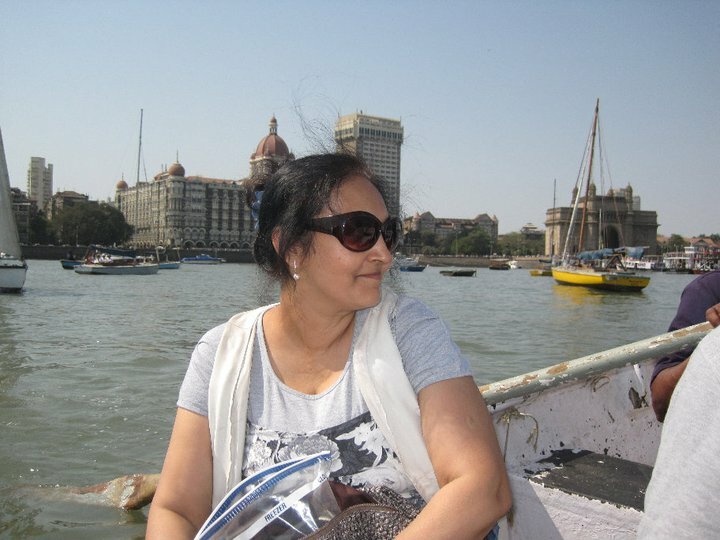 And as we headed closer to the shore, she could not help taking some shots of Mumbai’s iconic structures, the Taj Mahal Hotel and the Gateway of India. The return trip was the reverse of the going out one. 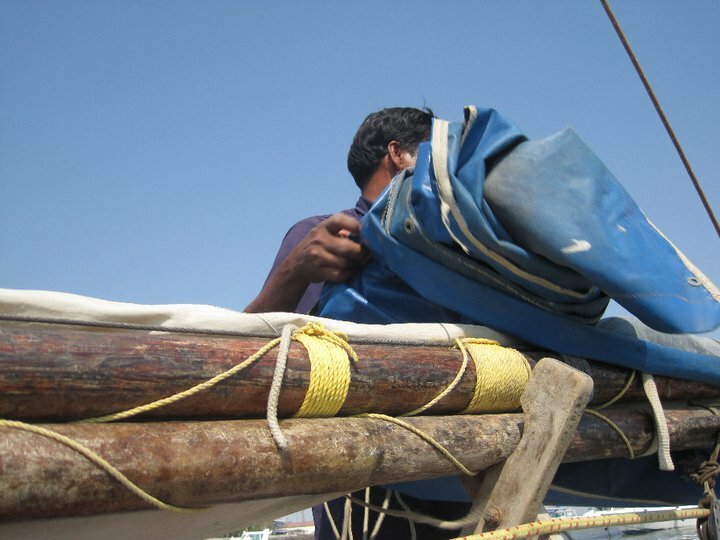 As we reached close to our row boat, Tindel Krishna first wound up the sails. We made small (actually, tiny) contributions to the wind up process. 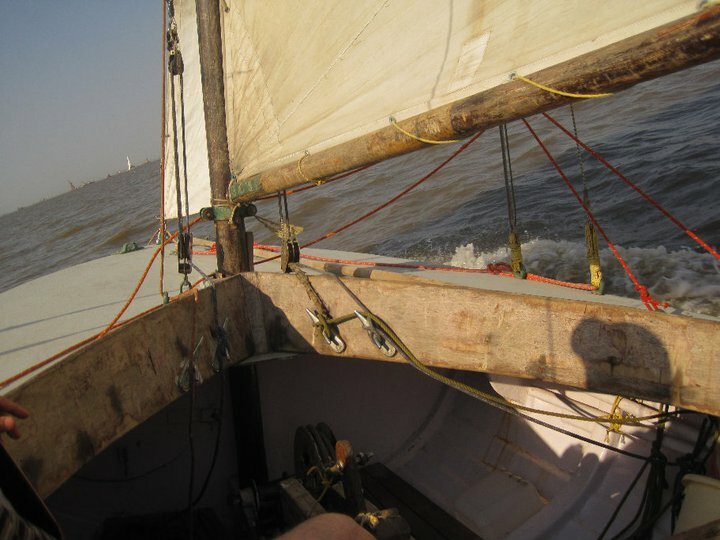 Once that was done, we carefully and gingerly stepped out of the sail boat, and into the row boat. One person at a time. 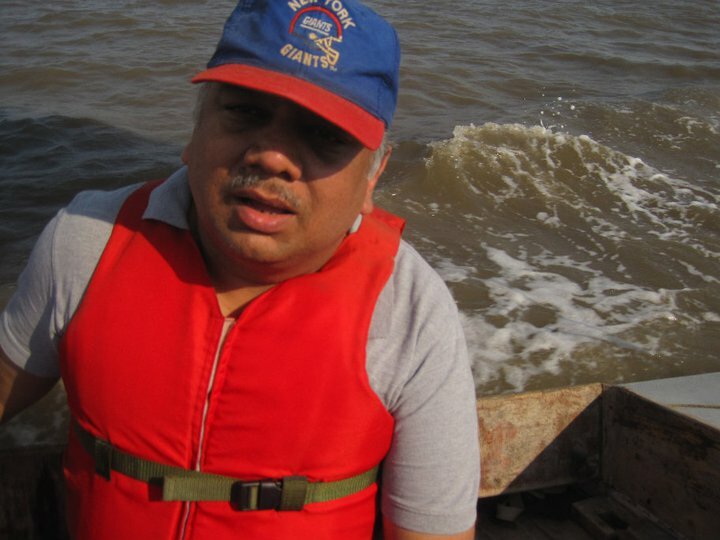 And then took the row boat back to shore. For the end of a wonderful Sunday afternoon out. A trip that we jumped on, in true ‘chance pe dance’ fashion. A trip of the kind I would highly recommend you to take, if you get a chance. Go for it! It’s a great experience..
Blog with loads of pictures made it really interesting. Any specific place where you’ll sailed (e.g. elephanta?) or just somewhere in the middle of the sea? We went away from the Gateway.. we could see Chembur on one side, the Nhava Sheva at another side, the way to Alibaug, and also the way to Elephanta.. But we were in the middle, not close to any of these places..
A good travelogue! You have initiated the process of amazement with boat rides! Two months of TV Vanvaas about to end: What I missed, what I didn’t!